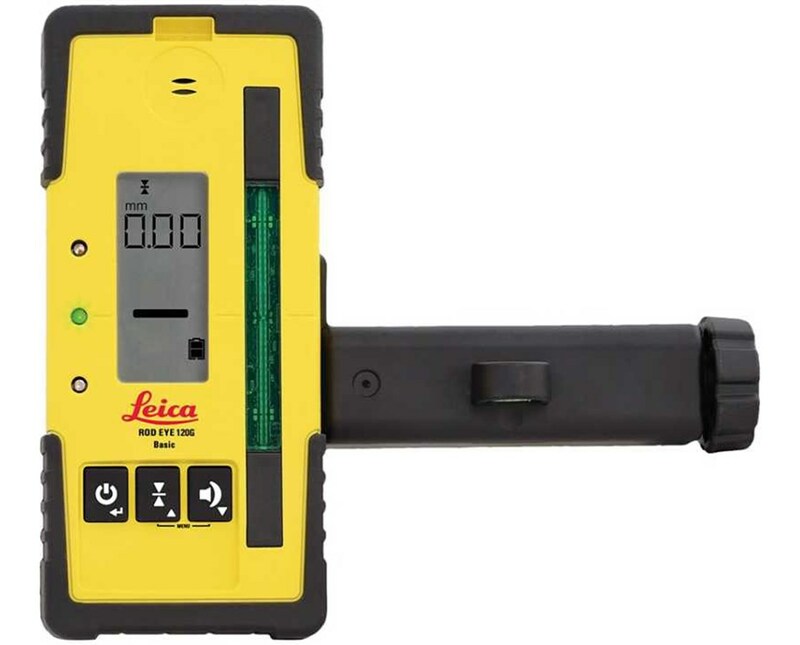 The Leica Rod Eye 120G Green Laser Receiver with Bracket is drafted to capture the green laser beam of the Rugby 640G rotating laser Convenient and fast, it features a digital readout that measures offset from Rugby 640G beam position. This laser receiver has a built-in seven-centimeter detection window that allows easy detection of the beam up to a 200-meter radius. Also, it features a working diameter of up to 900 meters. 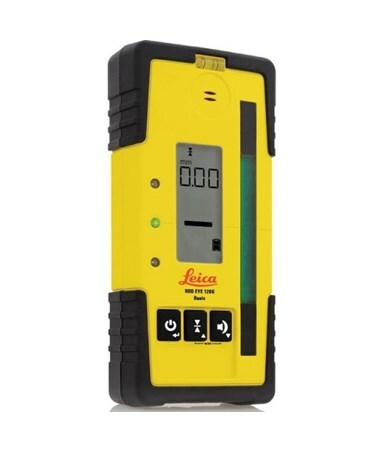 For an easy read, it includes two large LCD graphic displays on the front and back of the receiver. 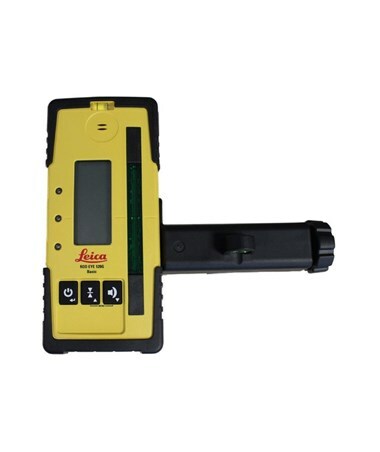 The rod eye receiver comes with three auto indication volume levels - loud, soft and off. Plus, it has three bandwidth accuracy indication levels - fine, medium and coarse. 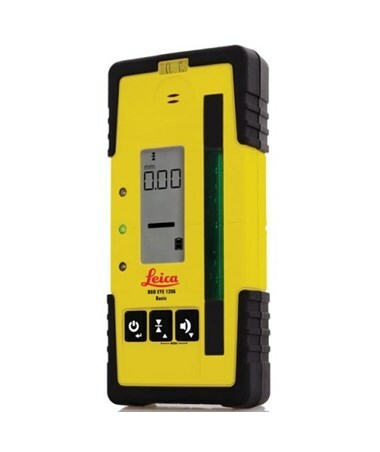 Being powered by two AA batteries, the Leica Rod Eye 120 laser receiver operates up to 50 hours. 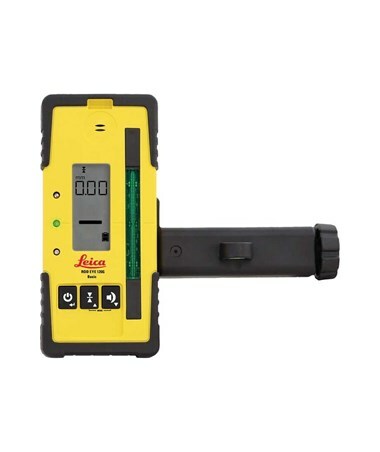 It has an IP67 environmental rating which gives this instrument dust and water protection.